The programs design inculcates the right attitude. It develops the appropriate skills and impart comprehensive and rigorous knowledge for the students to develop into effective managers and change agents in their respective organizations. 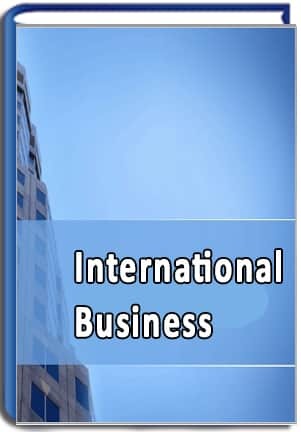 The course material includes all the latest headings which many multinational companies entail. In fact all the books, which are been provided to the students, are been selected according to the directions of many of the multinational companies. The course material is self explanatory and easy to understand. These provide the students proper knowledge of the subject with sufficient examples and case studies. The customized course material is prepared by Tata Mc Graw hill publication which is reviewed after every 6 months. This complete package of courseware shall be received by the students within 21 days of payment of the fees. The study materials include full range of syllabus .Student does not need to refer any other material or purchase any from other sources. The students are assessed based on course work and examination for every program. As soon as the students feel confident that they are ready to appear for the exams they can contact the institute for the question papers, which can be answered at their comfortable places itself. The candidates are required to submit their answer sheets within the prescribed time limit to the institute by any means. This unique methodology helps students to write best answers based on case studies and personal experience, a format similar to that of students in PhD program. ISBM has designed this liberal and novel education methodology that allows students to make maximum benefits in writing answers of their own choice comfortably. If the students desire to appear for three hour class room examination, they can do so. The exams will be conducted at various ISBM study centers. In such a case the students will not be allowed to refer the study material in the examination center. The students should intimate the preference for this option at the time of registration.